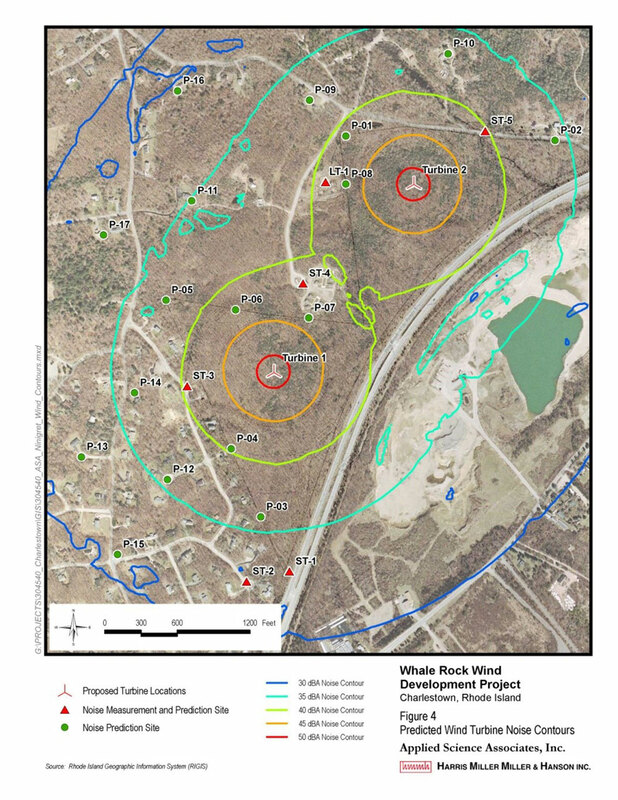 HMMH completed a noise study for Whale Rock Renewable Energy’s proposed 3.6 megawatt (MW) project in the Town of Charlestown, RI. The study consisted of estimating noise impacts from the two turbines using SoundPlan modeling for compliance with the Town’s Code of Ordinance for Large Wind Energy Systems. HMMH recently presented the findings of the study at a public meeting.